CrossFit | CrossFit Nexus - Lose Fat, Gain Confidence, Feel Amazing! You don’t have goals to make it on the field as a starter. You’re not looking to go pro. You’re not training for Team USA. But you do want to get in good shape and be fit. And have fun doing it. You’ve got kids (grandkids?) to chase around, groceries to pick up, and meetings to sit through. You’ve got life. That’s where we come in. 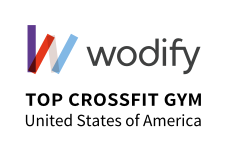 The adult CrossFit classes are designed especially for you. The best part is that there is a community of like-minded individuals here to encourage you along the way. Think you’re just “not in shape” yet to start? No worries, we’ve got a Foundations program designed just for that! Our goal with these classes is to set you up for success prior to entering our general classes. It is required of all new members. The movements that we use on a daily basis are unique and take time and practice to learn how to execute them well. These sessions will provide you with the techniques and skills necessary for maintaining safety and maximizing your results when you enter the normal group classes. We will also teach you about the basic methodology we use in your pursuit of fitness as well as assess your goals and establish a plan for achieving them. The Foundations course is comprised of four private sessions and run during their own time slot. Sessions are scheduled at your convenience between you and a coach. Book a free consultation here to meet with a coach for a private 20-minute chat. No sales pressure, just a chance to see if we’re compatible. Plans that fit your unique needs and goals. Set up a No Sweat Intro so we can find the best fit for you and your goals. No contracts. Come to as many classes as you’d like. No contracts. Three classes per week. If you have friends or family who would like to start with you, you can do so with our small group rates.